During my Guest spot at GoldDust Gallery I threw my first tattoo giveaway promotion and this was the tattoo from that. 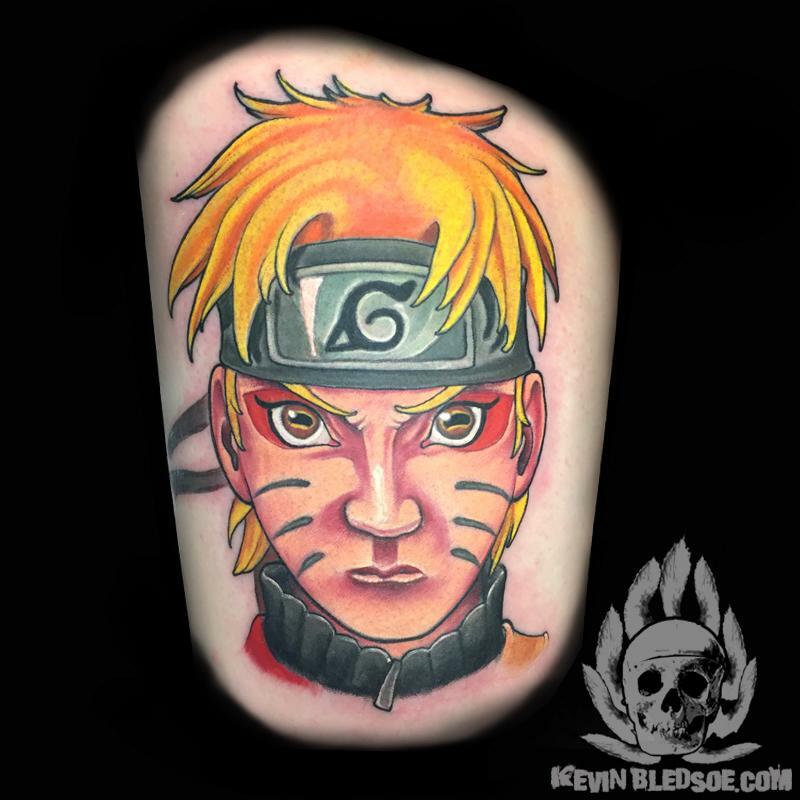 I watch Naruto Shippuden religiously and wanted to do a tattoo of the greatest anime hero of all time. I didnt follow the traditional anime look but rather added my own flavor and bells and whistles while reataining the spirit of the character. Definately one of my favborite tattoos.